The 2016-17 winter sports season was one for the record books at St. Joseph’s College. 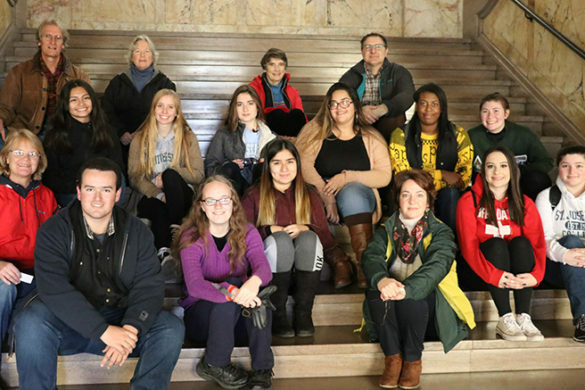 If you missed any of the action, OnCampus has got you covered! 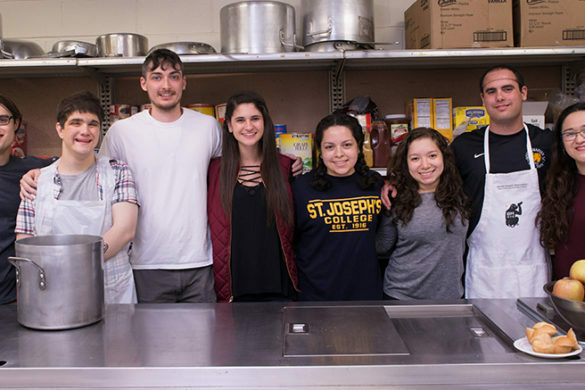 We’ve rounded up the top 10 athletic accomplishments from the SJC Brooklyn Bears and the SJC Long Island Golden Eagles 2016-17 winter sports seasons. 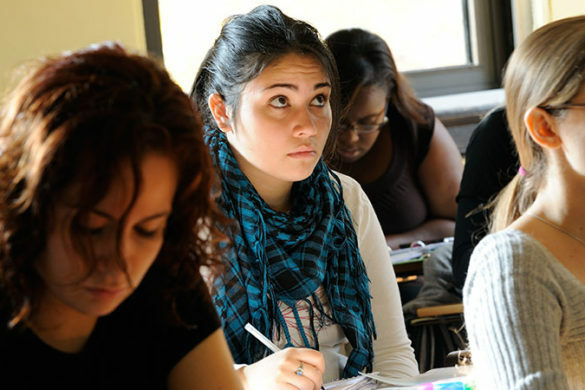 Scroll through to see who and what made the list. 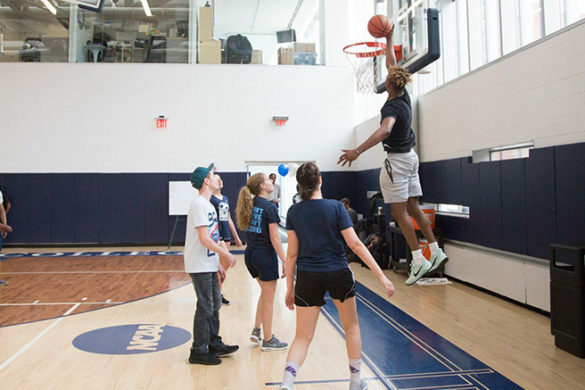 SJC Brooklyn increased its NCAA Division III varsity athletics offerings in the Skyline Conference to 14 with the addition of men’s swimming for the 2016-17 season, the first sport to be added on campus since 2012. 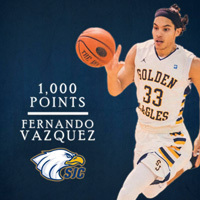 SJC Long Island men’s basketball guard Fernando Vazquez ’17 finished his senior season with 1,099 career points, which ranks in the top 10 in program history. The San Juan, Puerto Rico, native also finished his Golden Eagles career among the program’s all-time leaders in rebounds (324) and three-point field goals made (160). 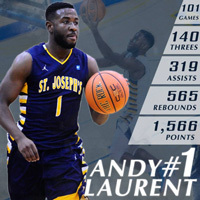 Andy Laurent ’17, a senior guard on the Golden Eagles men’s basketball team, completed his college basketball career ranked third all-time in the program in points (1,566), fourth in rebounds (565), sixth in assists (319), seventh in three-point field goals (140) and seventh in steals (151). SJC Brooklyn’s Destiny Marino ’18 of women’s basketball led the Skyline Conference in scoring, averaging 17.0 points a game. 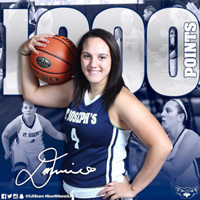 She scored her 1,000th point Jan. 4 against SUNY Old Westbury. Marino has 1,230 points scored over her athletics career and moved into fifth on the all-time Bears scoring list. 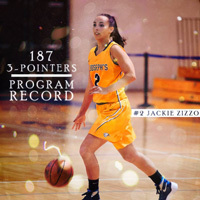 SJC Long Island guard Jackie Zizzo ’17 broke the women’s program’s single-game three-point record Dec. 13 with nine three pointers in a contest against Yeshiva. 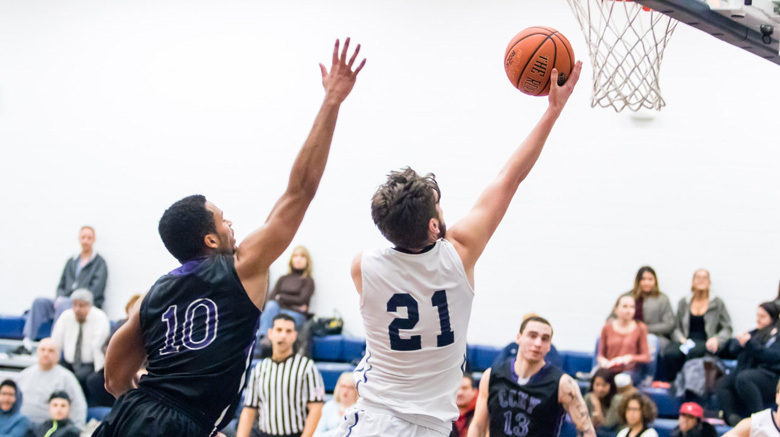 Zizzo then became the program’s all-time three-point field goal leader on Feb. 14, after hitting seven treys against SUNY Old Westbury. Her 84 three-pointers this season place her in the top five in the nation and brings her career total to 193. 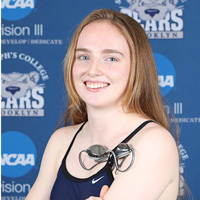 Shannon Doherty ’19 of SJC Brooklyn’s women’s swimming lowered her own records in four events in the Skyline Championships. Doherty beat her own individual records in the 200-yard freestyle (2:18.51), the 50-yard freestyle (26.57), the 100-yard freestyle (58.97), and the 100-yard butterfly (1:07.03). She became the first woman to crack the 1-minute barrier in the 100-yard freestyle. 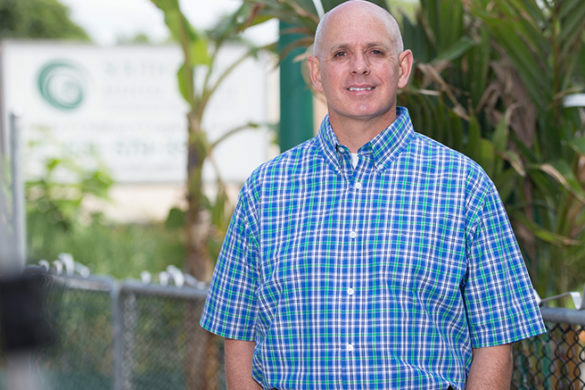 Doherty now holds four individual and four team all-time program records. In January, forward Andrea Iavarone ’18 of the SJC Long Island women’s basketball team became the first player in program history to land on D3Hoops.com’s national Team of the Week. Against SUNY Purchase on Jan. 4, the junior scored a career-best 39 points, which placed her 18th among NCAA Div. III players this season for most points scored in a single game. 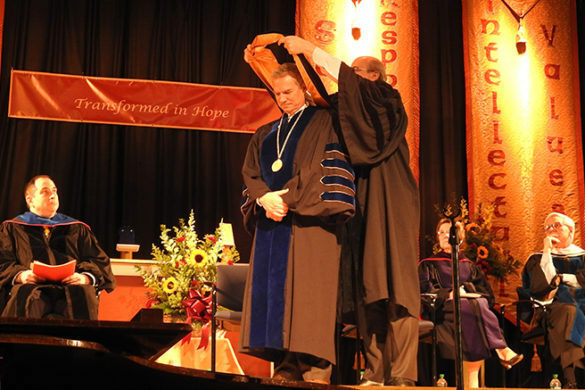 The performance is a program record for points in a single-game. After the season, Iavarone received an ECAC DIII Metro Women’s Basketball Honorable Mention honor. The Bears women’s swimming team broke program records 15 times throughout the 2016-17 season. 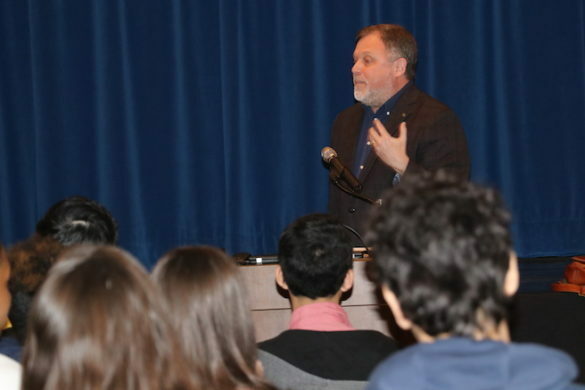 Individual records were set in the 200-yard freestyle, the 50-yard freestyle, the 100-yard butterfly, the 200-yard butterfly, the 100-yard freestyle, the 100-yard breaststroke and the 200-yard breaststroke. Additionally, the Bears’ Julia Dineen ’17, Rebecca Bollmann ’20, Jessica Gnad ’20 and Shannon Doherty ’19 recorded a new team program record for the 200 medley relay. 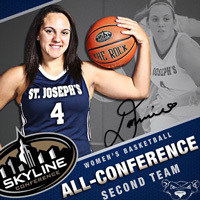 Guard Destiny Marino ’18 earned a spot on the All-Skyline Conference Second Team for an outstanding season on SJC Brooklyn athletics’ women’s basketball team. 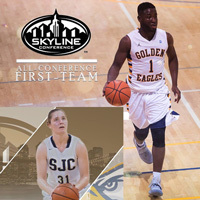 Golden Eagles men’s basketball’s Andy Laurent ’17 and women’s basketball’s Andrea Iavarone ’18 made SJC Long Island athletics proud when they were both selected to the All-Skyline Conference First Team.